Villa Pisani, also called National, is probably the most famous and magnificent of the Venetian villas of the Riviera del Brenta. It counts over 150,000 visitors per year. The name Pisani is due to the family for which it was built. 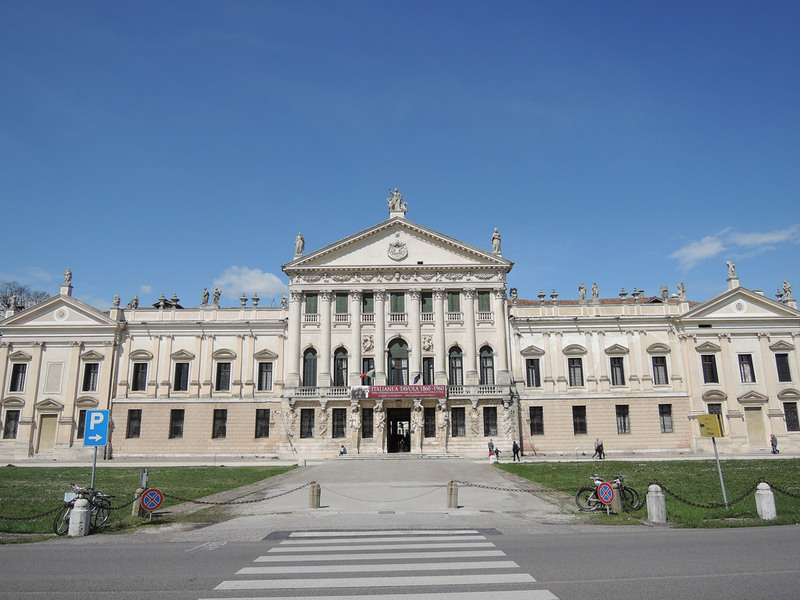 It is located in Stra, in the province of Venice (which is 34 km away) but it’s closer to Padua (only 20 km). 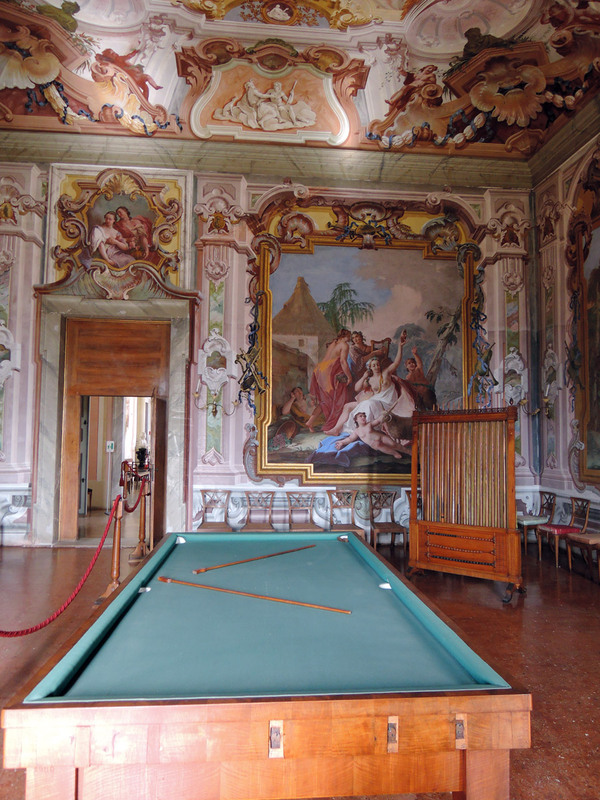 Today you can visit 30 rooms of the noble floor, in which are preserved some original furniture, frescoes and paintings. 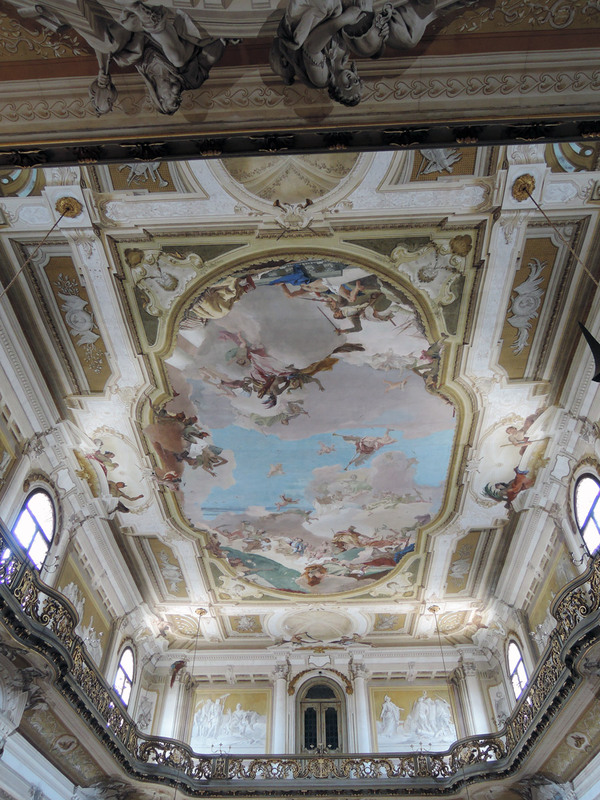 The most prominent room is the Ballroom with frescoes by Tiepolo depicting The Glory of the Pisani Family. 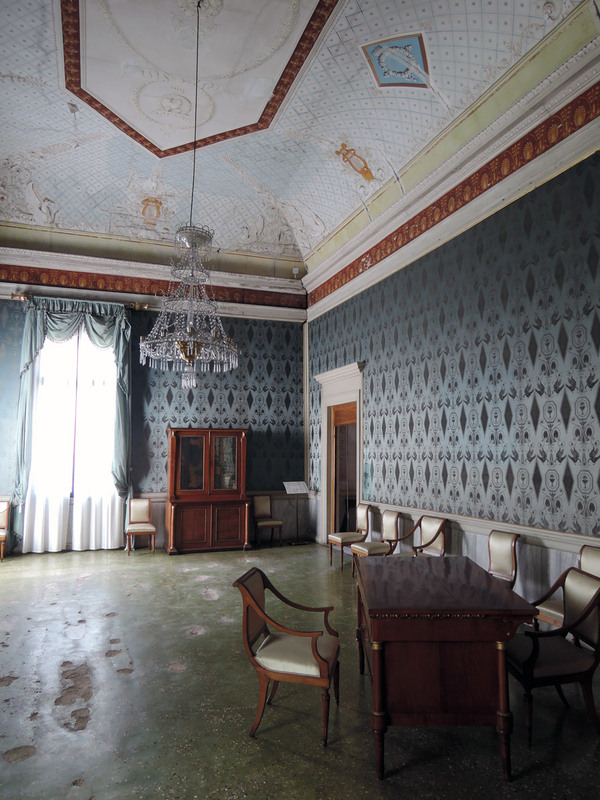 Villa Pisani has 114 rooms, in tribute to the 114th Doge of Venice, Alvise Pisani, family member and former ambassador to the court of the Sun King. The Orangerie was once essential to the economy of the villa thanks to the trade of citrus fruits, at that time very precious. The family brought here guests to admire the citrus trees as if they were jewels. 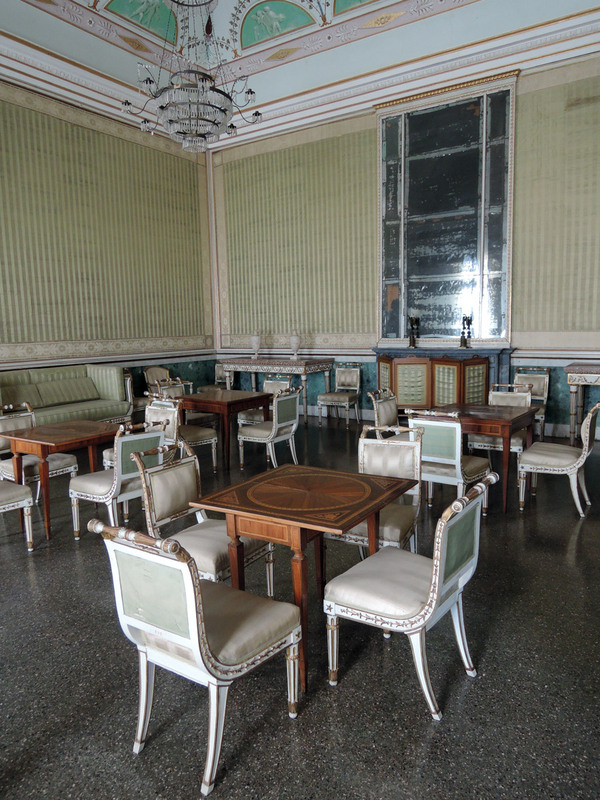 In 1934 was held here the first official meeting between Mussolini and Hitler. Creepy. 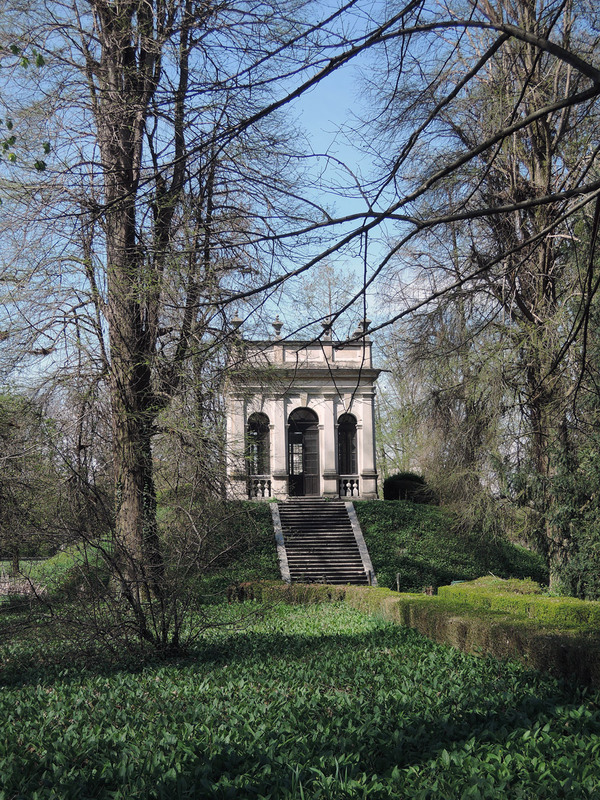 Villa Pisani was built starting in 1721 by the architects Frigimelica and Preti. 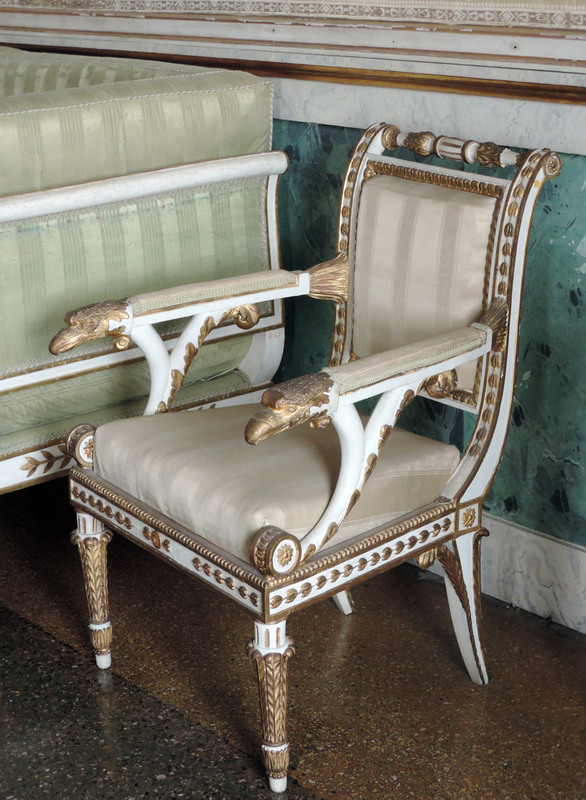 The villa was home to Napoleon Bonaparte, who bought the house in 1807 for his stepson Eugene de Beauharnais, as the Pisani family had lost their fortune because of gambling. 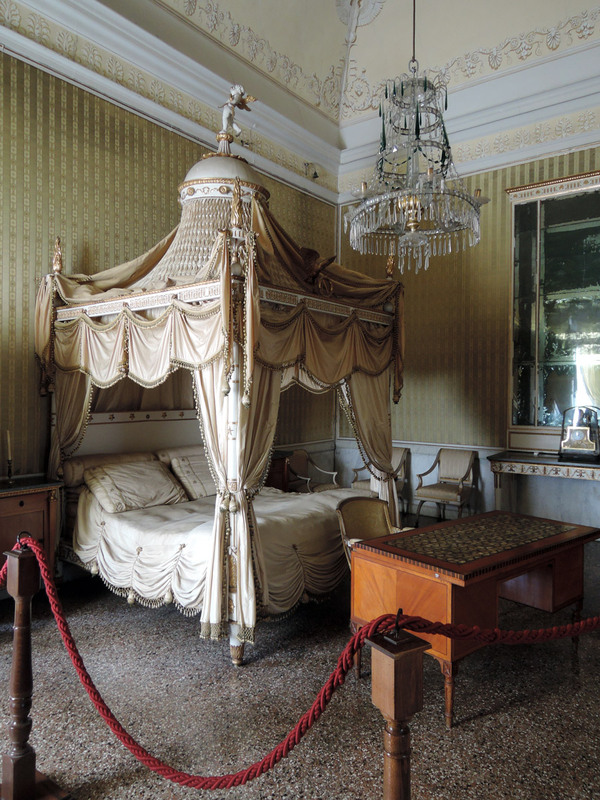 Napoleon’s room complete with a sumptuous four-poster bed is part of the visit. 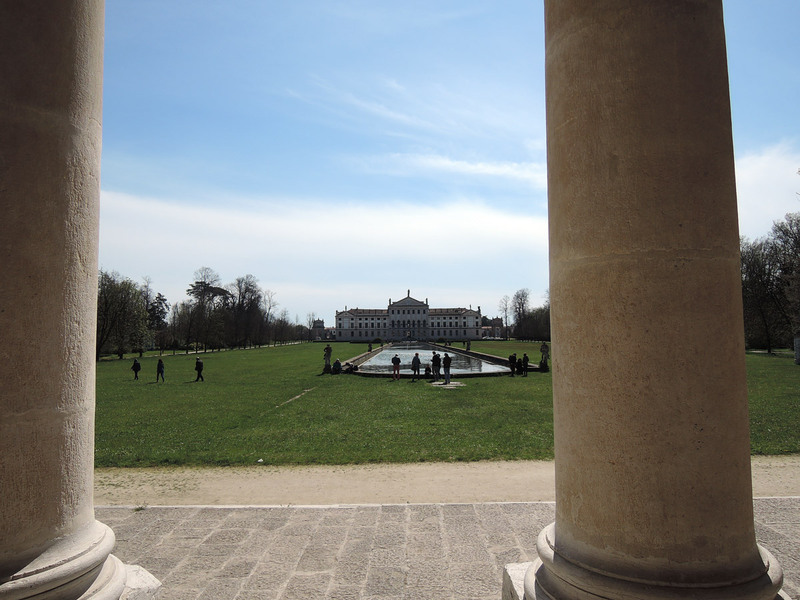 After Waterloo, in 1814, the villa became the property of the Habsburgs and it was used as representative headquarters. It was the favorite vacation destination of Maria Anna Carolina Empress of Austria and hosted many aristocrats: Charles IV of Spain, Tsar Alexander I, Ferdinand II and King Otto of Greece. 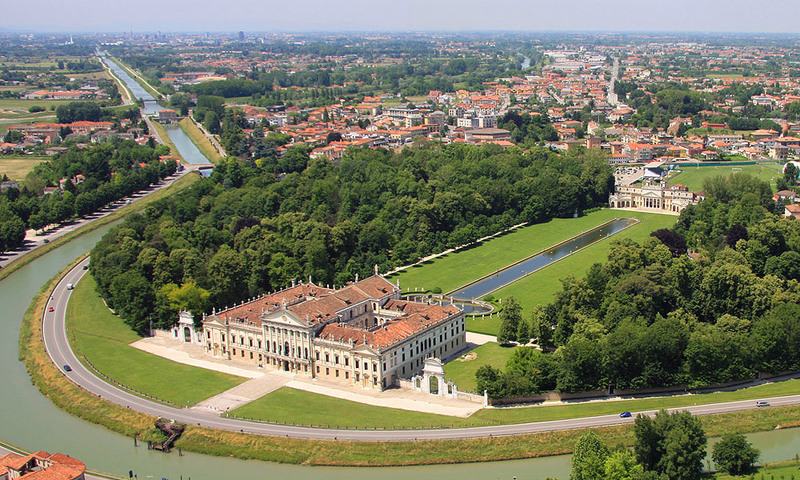 In 1866 the Veneto was annexed to the Kingdom of Italy and Villa Pisani became property of the Italian State. 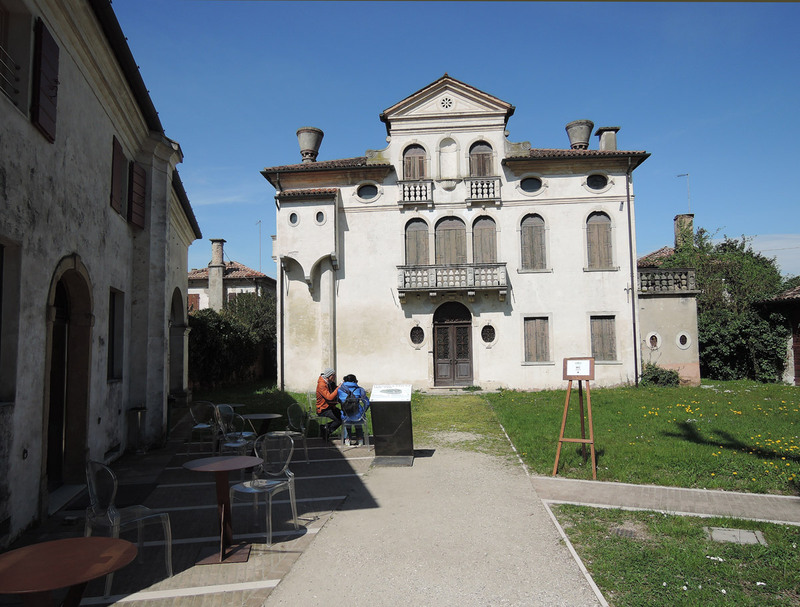 Since 1884 it has become a Museum, visited by celebrities such as D’Annunzio and Wagner. 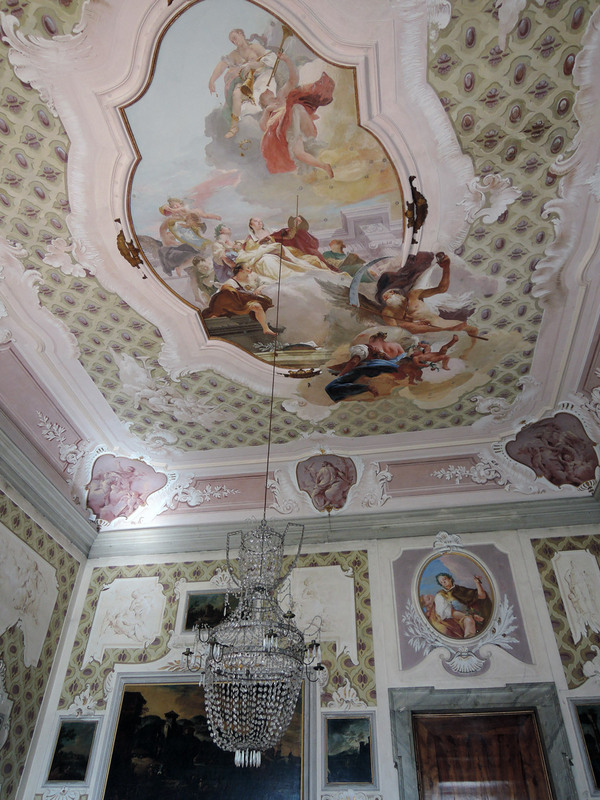 The first room is beautiful, dedicated to the arts. On the ceiling is a beautiful fresh displaying Fame that flies with her trumpet. At her side is Abundance and below them are the Arts: Painting, Music, Poetry and Sculpture, accompained by Time and History. I liked also the room dedicated to Bacchus. Once it was probably a room dedicated to music. Now it hosts a big billard table. 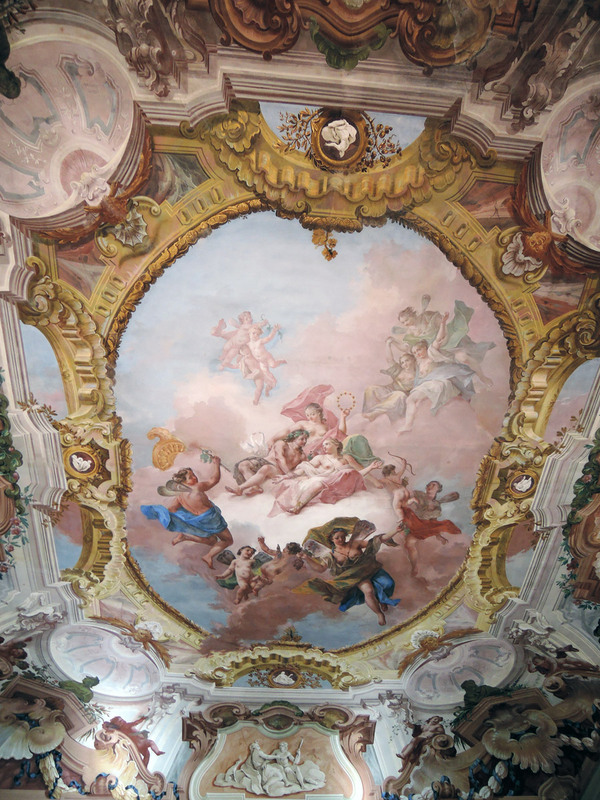 The room displays beautiful Dionysian frescoes, culminating in the ceiling with the Wedding of Bacchus and Ariadne. The Dining room is marvelous, with original furniture and decorated pottery. On the right cupboard are two amphorae, which are actually ice cream containers. They have in fact a cavity in which ice was placed to keep fresh ice creams and sorbets. 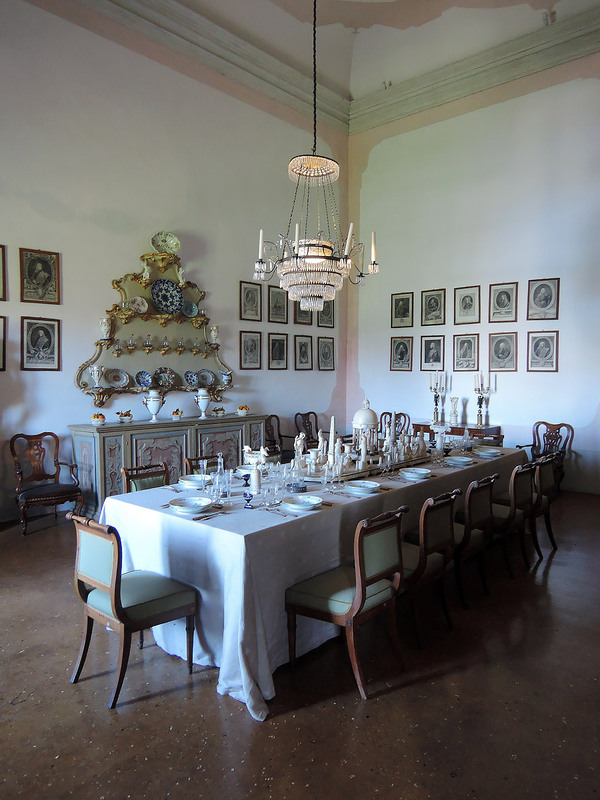 The tableware has 218 pieces and is the largest tableware kept in an Italian museum . 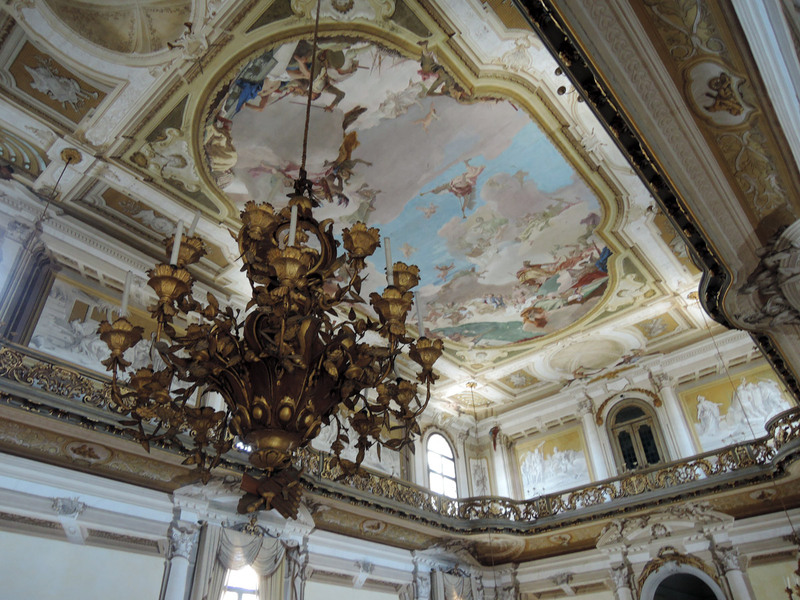 The Ballroom is wonderful, with the fresco by Giambattista Tiepolo. 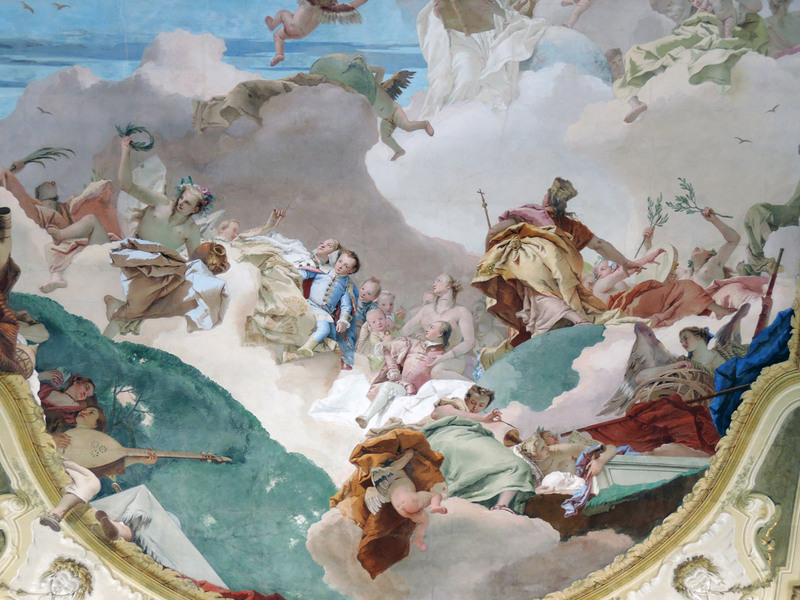 The fresco depicts the Pisani family with the Virtues and various allegorical characters including Italy, Venice and Europe exchanging glances with each other to symbolize the family’s wishes to play an important role in the politics of the Venetian State. The park is also beautiful. It is pleasant to walk here and it’s also romantic! The main attraction is definitely the hedge maze. Unfortunately, the day I visited the villa the maze was closed. But I returned another day specifically to get lost in the Villa Pisani maze. The Museum Café offers a Picnic on the grass service: with a minimum purchase of €15 at the Cafe they provide you with a basket and mat to eat in the garden (but only in the garden in front of the Cafe). Alas! All this magnificence has a downside. It must be very expensive to maintain the Villa, the garden and the staff. Consequently the Villa had some problems. 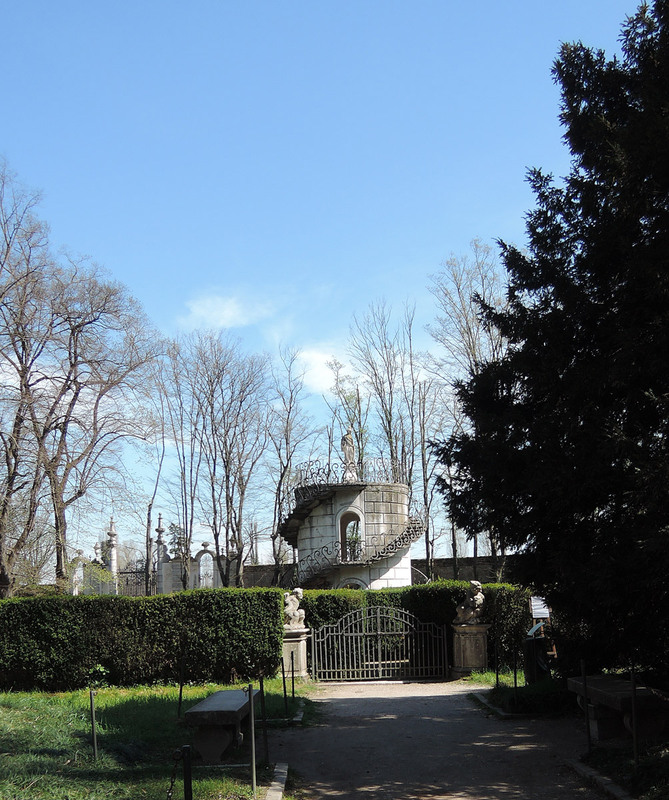 There are some broken windows, some floors of the historical rooms are ruined, the garden is not entirely well-groomed. I went there the first Sunday of the month so the admission was free. But normally the ticket is not cheap: 10€ (Villa + garden) and many people complain about this price, considering the flaws and the fact that the maze is closed in winter. I think the price should be reduced when the maze is closed but I also believe that we are not able even to imagine the costs of such a place. 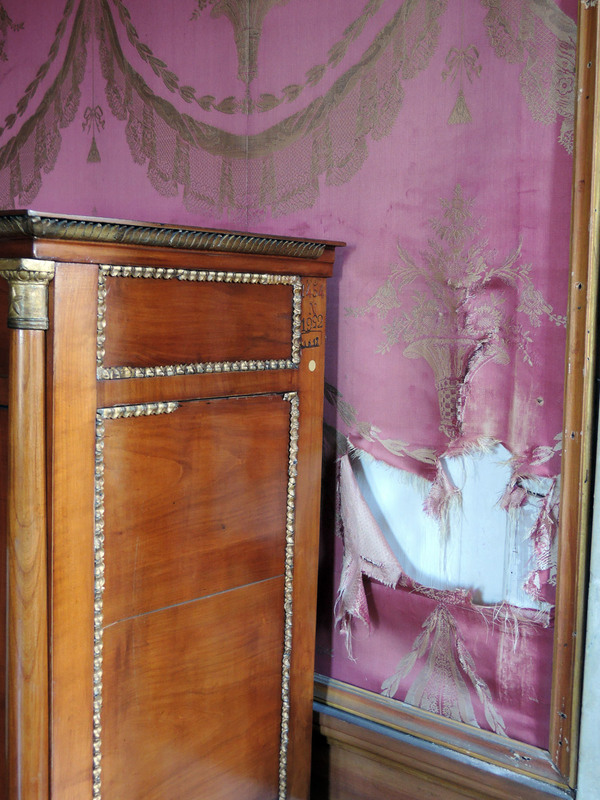 If the price helps conservation and renovation I pay it gladly. Honestly, I paid more for less magnificent places. The maze is open only from April to September and it is closed at Easter and Easter Monday April 25. Reduced and free tickets available for EU citizens only. Open every day except Mondays. Closed on 1st January and on 25th December except on different Ministerial disposal. Open on Sunday, 27th and on Monday, 28th March 2016. Closed on Tuesday, 29th March 2016 for weekly rest. Museum closed also on 26th April, 16th August and 27th December 2016 for weekly rest. Ballroom closed on Saturday, 12th March 2016.